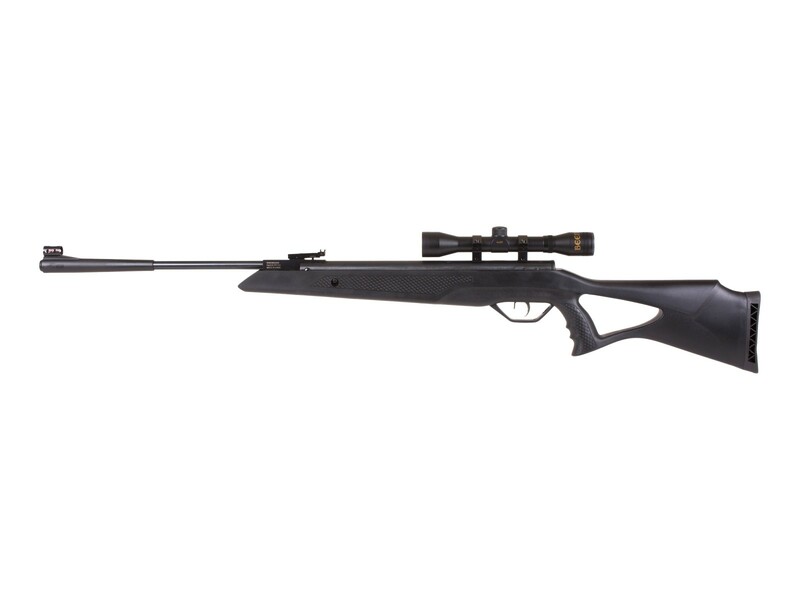 The Beeman Longhorn Air Rifle Combo features an all-weather black synthetic stock with a pistol grip. 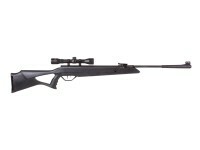 As member of the Marksman Sportsman Series, this rifle is especially accurate. 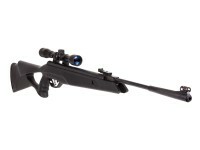 It's equipped with a metal housed fiber optic front sight and fiber optic round globe rear sight, and for added accuracy, use the included 4x32mm scope (scope stop included). A great choice for pest control and hunting small game, the Longhorn shoots lead pellets at sizzling velocities of 1,200 fps. 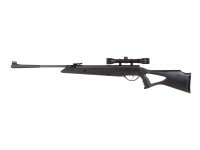 It's a great combination of power, accuracy and affordability. Things I would have changed: Nothing at this price point. What others should know: I ran 40 patches through barrel before firing. The barrel was extremely dirty. Dieseled badly for about 100 pellets then settled down. Accuracy and power are surprising from this price point rifle. Took hunting today. Dispatched starlings at 40 and 25 yards. Did not bother putting on supplied scope. 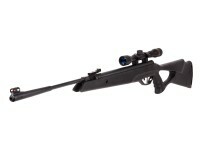 Will use this rifle w/ fiber optic sights. Added a Gamo gun buddy sling and this is a comfortable hunting set up. Additional chrony numbers after 600 pellets thru the rifle. All are five shot averages....Crosman Premier 7.9 gr 1096fps. H-N Sniper Magnum 15gr. 761 fps. H-N Barracuda Hunter 10.34 gr. 920fps. This rifle is devastatingly accurate. Have taken 8 squirrels so far out to 35yrds with fiber optic sights!